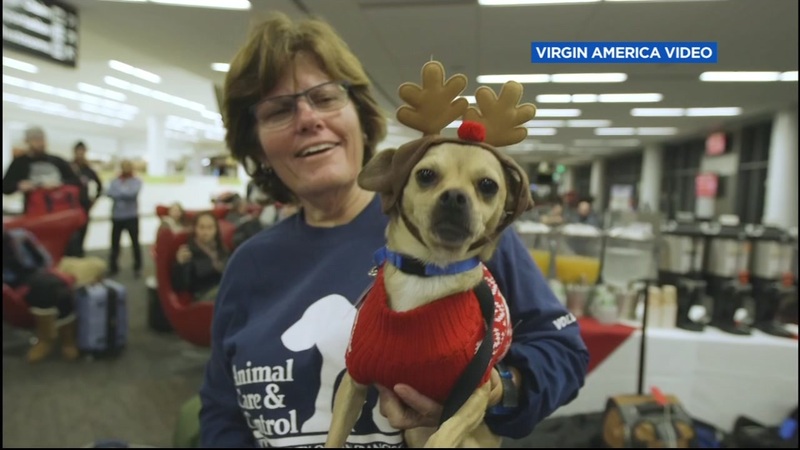 SAN FRANCISCO (KGO) -- A dog-gone great deal from Virgin America is making rounds this Cyber Monday. The airline is calling its one day only discount, 'Tiny Dogs, tiny fares' because travelers can fetch up to 30 percent off domestic flights. But here's the best part: $10 from each ticket booked will be donated to animal welfare organizations including San Francisco Animal Care and Control. A plane full of four-legged passengers, took off from SFO bound for the Big Apple and forever homes for adorable rescue pups. Click here for more cute animal stories.